Toby joined AQA in July 2017. 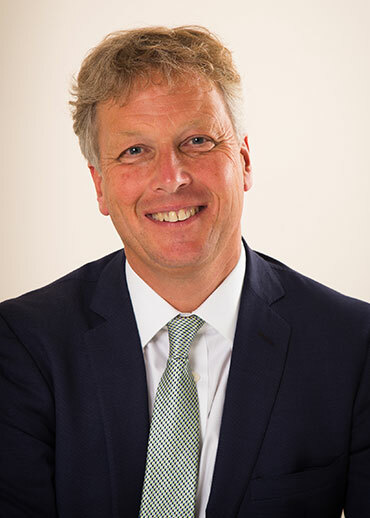 He was previously Chief Executive of Ormiston Academies Trust, which sponsors 32 academies across England, with responsibility for 25,000 students and 3,500 staff. Prior to that, Toby was Deputy Chief Executive at the National College for School Leadership, an executive agency providing leadership development and policy advice for schools and ministers. Toby has worked in a variety of education leadership roles, including as Executive Head of a federation of three schools, and has led schools to achieve ‘outstanding’ gradings under Ofsted. In 2000, he was appointed by the Prime Minister as Director of the Department for Education’s Innovation Unit to lead innovation in school practices and structures. He has also held a number of voluntary and non-executive director roles including appointment to the Cabinet Office Innovators’ Council and as a board member of UCAS. He is a visiting professor of education leadership at the University of Wolverhampton; a member of All Souls Group, Oxford; and a member of the Windsor Leadership Trust Chief Executives’ working group.